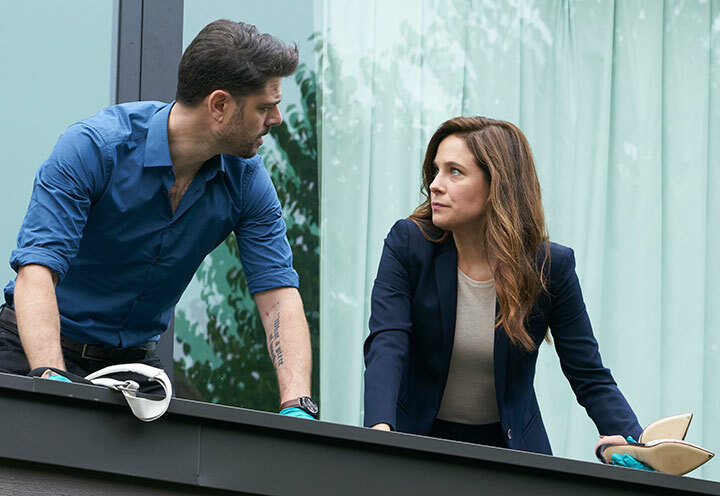 Mary Kills People showrunner Tassie Cameron tells Michael Pickard how the Canadian drama strikes a balance between the serious subject at the heart of the story and its lighter, humorous moments. As befits a drama set in the morally grey world of assisted suicide, the opening minutes of Mary Kills People are a sombre affair. 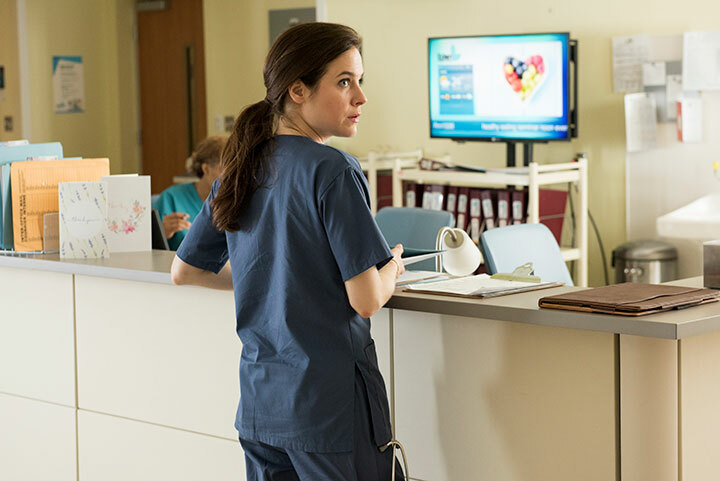 Mary, played by Hannibal actor Caroline Dhavernas, is administering a fatal dose of drugs to an American football superstar as she helps him to carry out his wish to die, all behind the back of his unsuspecting wife. Then suddenly, as the doctor and her assistant make their escape, the seemingly dead patient comes back to life, kickstarting a shift in tone as Mary comedically attempts to finish the job before his soon-to-be widow, now returned home, discovers what has happened. Viewers may not know whether they can, or should, laugh as this opening phase comes to a head, with Mary and Des (Richard Short), her trusted partner-in-crime, ordering Mexican food at a drive-thru just minutes after killing their latest patient. 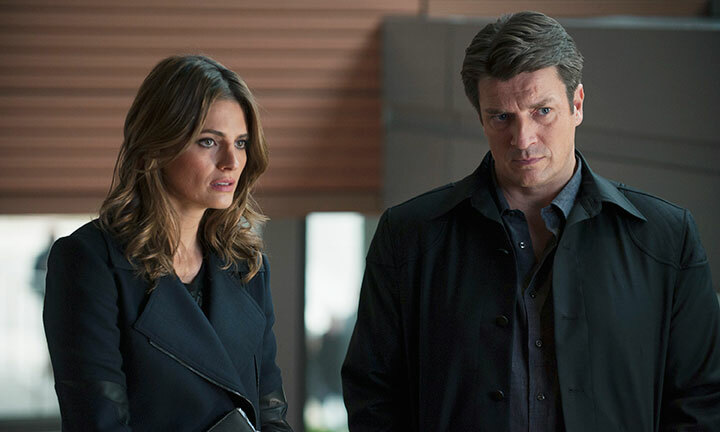 “I thought the script was so surprising tonally; there were so many turns that weren’t action or investigative turns but were character turns that whipped me around all over the place and surprised me in a way I don’t normally get,” admits showrunner Tassie Cameron. 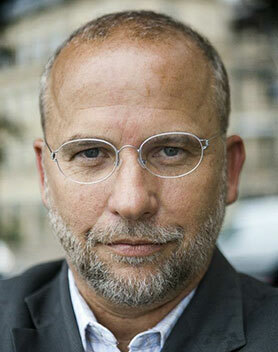 “It will be very interesting to see how people take it. The eponymous Mary is Dr Mary Harris, a single mother and ER doctor by day, who also moonlights as an underground angel of death, helping terminally ill people to die on their own terms. But as her secret business booms, her double life becomes increasingly complicated when the police start to close in. 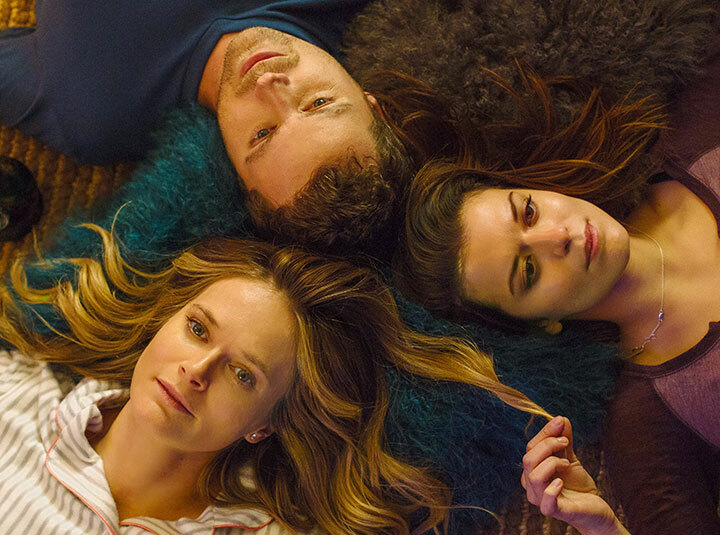 The tone of the series was a huge talking point during the show’s development, but Cameron says there was never an argument about shifting it away from creator Tara Armstrong’s original script. “What drew us all to the material was the shifting tone, the moments of lightness and levity between these characters,” the showrunner says. “None of us ever set out wanting to make an issue piece [about assisted suicide]. We want to explore the issue, of course, and do it in an organic, thoughtful and respectful way but we were trying to make something that was surprising, entertaining, character-driven and not completely issue-based. Setting up Mary as an ER doctor further muddies the moral waters, as she saves lives by day before facilitating the wishes of those who want to die when she’s off-duty. Mary was always a doctor, Cameron says, before revealing she was put into the emergency room to enhance that very juxtaposition. “It felt realistic,” she says. “Many of the doctors we’ve spoken to who believe in assisted suicide also believe in doing everything they can to save their patients if they want to be saved. 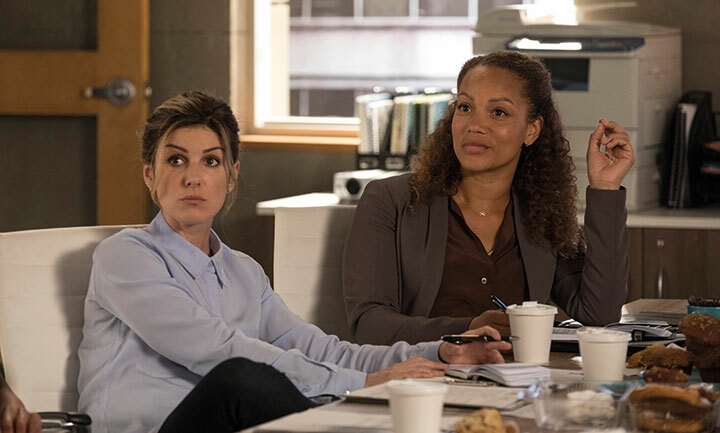 The six-part series, which debuted on Canada’s Global TV on January 25, carries elements of a mystery thriller, as the police chase down Mary, but also as viewers uncover who Mary is, her story and why she has this duel life. It was a conscious decision by the creative team to slowly reveal her true character over the course of the short run, revealing her to be strong, passionate and a force of nature while at the same time highlighting her flaws as she struggles with life as a single parent. Cameron has previously been showrunner on Flashpoint and Rookie Blue, the police procedural that ran for seven years on Global and US network ABC. She’s also recently exec produced Jason Priestley PI drama Private Eyes. And unlike Rookie Blue, which she co-created, she says she has no problems running a show she didn’t originate, such as Flashpoint and now Mary Kills People. That collaboration on Mary Kills People extended to the all-female creative team, with the exception of producer Norman Denver. 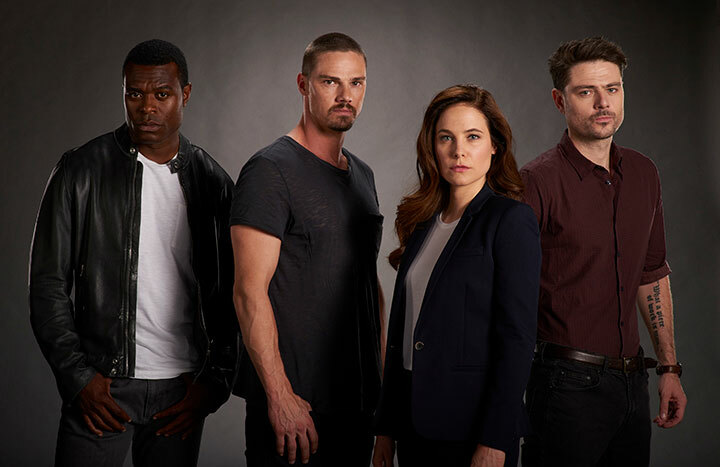 Cameron and her label Cameron Pictures, established with her sister Amy, partnered on Mary Kills People with Entertainment One (eOne), which also distributes the series internationally. 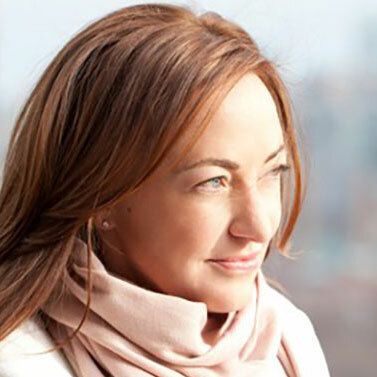 Tassie and Amy Cameron both exec produce with Tecca Crosby, eOne’s Tashi Bieler and director Holly Dale, while creator Armstrong is co-exec producer. “I’d never worked with so many women in so many positions. You would sit around the table at a creative meeting and everyone would be a woman,” Cameron says. “It was a very interesting and exciting experience to work with so many smart women on a project like this. I hope the end result for people on set was a safe, collaborative, supportive environment without a lot of big egos. We were all just collaborating to make it the best we could make it. An unusual thing, perhaps, both in terms of its development and its storyline, which may not have been considered worthy of transmission had it not been for the drama boom that has given rise to antiheroes and morally challenged characters, both male and female. One day, Cameron would like to find a genre show like Orphan Black to work on, but for now, she’s already back in production, this time on her next project, Ten Days in the Valley. Ordered straight-to-series by ABC, the 10-part drama stars Kyra Sedgwick (The Closer) as Jane Sadler, an overworked television producer and single mother in the middle of a fractious separation. When her young daughter goes missing in the middle of the night, Jane’s world – and her controversial police series – implodes. Life imitates art: everything’s a mystery, everyone has a secret and no one can be trusted. 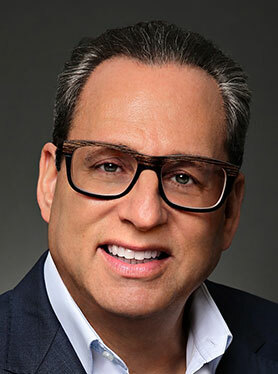 Cameron, who is the creator, writer and showrunner, also executive produces with Sedgwick, Jill Littman, David Ellison, Dana Goldberg and Marcy Ross. It is produced by Skydance Television. “Mary Kills People debuts on Lifetime in the US in April and then Ten Days is premiering [on ABC] in May,” she reveals. “It was a really risky show – I never thought it would get made. It’s about a showrunner and I set out thinking I’m going to feel free to break any rules I’ve made for myself over the last few years of making television. I was just going to have fun and do something different. So I broke the rules of writing about the industry and I’ve got journalists, who everyone says are verboten on television – I just threw in anything I found interesting that people told me I shouldn’t write about. So imagine my surprise when ABC sent it straight to series. “It’s really fun for me. We’re shooting at Paramount and we’re getting the real crew to sign off being the crew on camera for the show-within-a-show. It’s very meta and mind-boggling a little bit, but it’s fun. 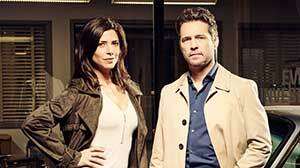 Jason Priestly and Cindy Sampson team up as a pair of private investigators in Canadian drama Private Eyes. Michael Pickard tracks them down. They’ve teamed up to play a pair of private investigators who carry out covert operations at the request of their clients. 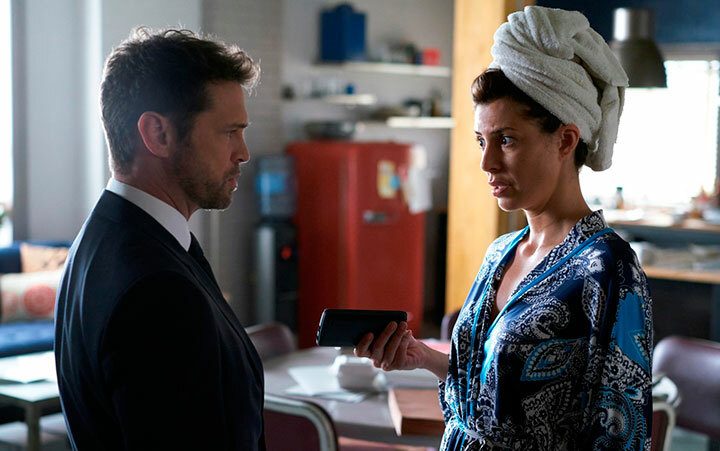 But when DQ finds Jason Priestly and Cindy Sampson sitting together on a beachside sofa in Cannes, they’re anything but undercover. Laughing loudly at each other’s jokes, they’re supremely at ease and riotously enjoying one another’s company – a quality that also comes across on camera in the early teaser trailers for their new crime drama Private Eyes. The series follows ex-pro hockey player Matt Shade (Priestly) who partners with PI Angie Everett (Sampson) to form an unlikely duo. On the ice, Shade learned how to hustle, read people and anticipate their moves. Working with Angie, he’s found a new home where his skills still matter. 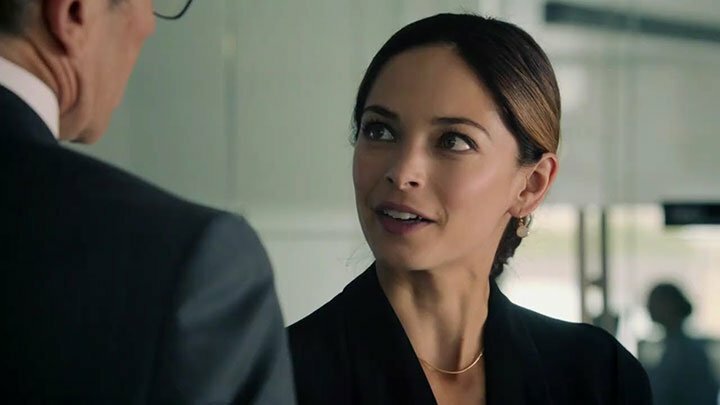 Meanwhile, Everett – straightforward and clever – has taken over her father’s PI business after his death and strives to keep his legacy alive. 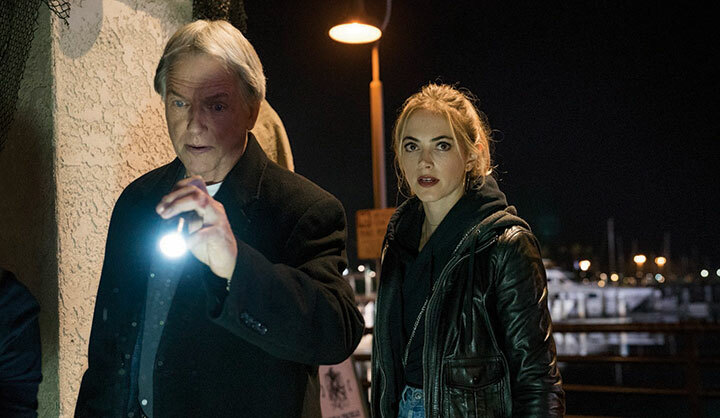 Traditional crime procedurals – from which Private Eyes takes its cue – have fallen out of favour in the US over recent years as serialised stories have taken priority for broadcast and cable networks and streaming platforms. But Priestley believes there’s still a place for case-of-the-week series, with demand for episodic content particularly high across Europe. Priestly needs no introduction. Growing up on camera in various bit-part roles, he shot to fame as Brandon Walsh in Beverly Hills, 90210 – the Aaron Spelling-produced soap that ran on Fox for 10 seasons until 2000. More recent credits include Canadian comedy Call Me Fitz and a recurring role on Syfy’s Haven, among numerous cameo appearances in shows produced on both sides of the US/Canada border. Sampson, who came onboard in August 2015, continues: “I did a screen test, a chemistry test, so I read with (Priestly) in a room of 40 people. We had a good laugh and then it all happened really quickly. We went into fittings and started shooting in the middle of September. We wrapped 10 episodes in February. 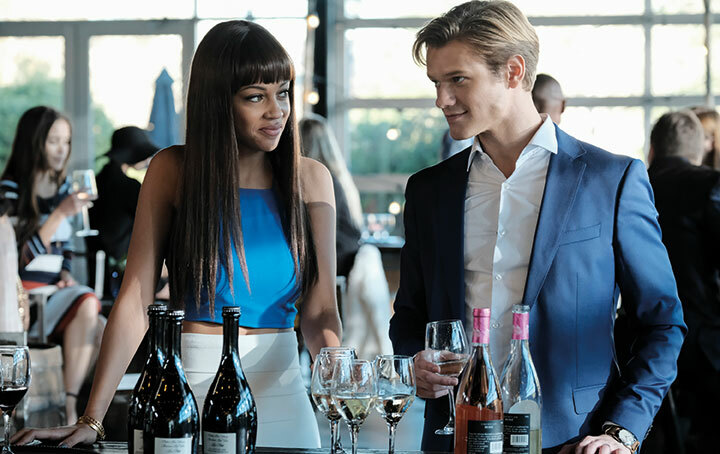 The pair didn’t know each other before partnering for Private Eyes but Sampson – whose credits include Rookie Blue, Supernatural and Rogue – says they instantly connected through their shared sense of humour. 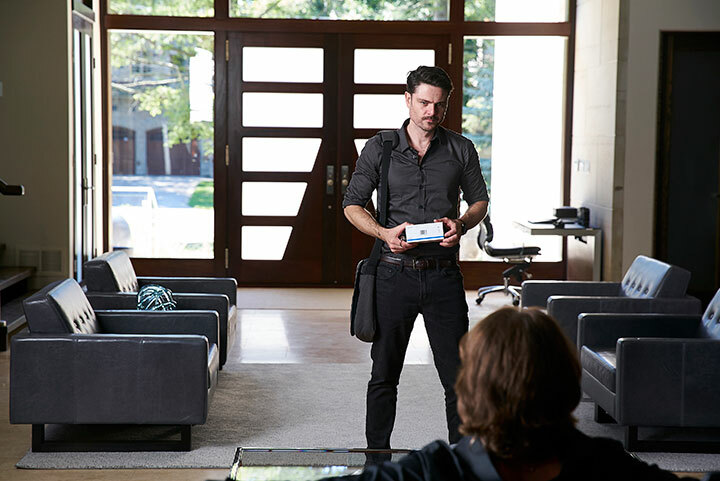 The 10-episode season, produced and distributed by Entertainment One, has been written by showrunners Shelley Eriksen (Continuum) and Alan McCullough (Rookie Blue), who gave their stars plenty of room to embody their characters beyond the lines on the script. The production wasn’t without its challenges, however, and both Sampson and Priestly recall one particularly cold day shooting on board a ferry. 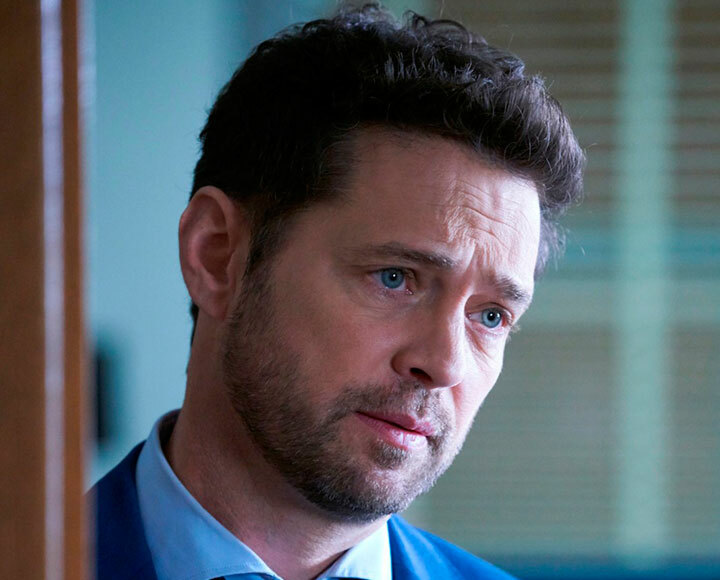 Priestly now splits his time in front of and behind the camera, having first climbed into the director’s chair more than 20 years ago for episodes of 90210. 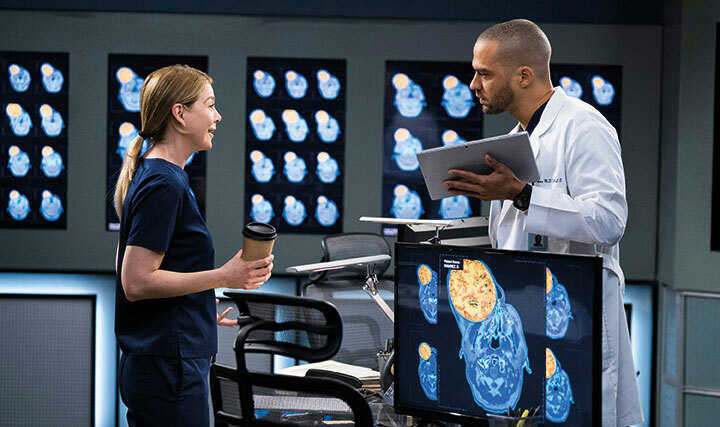 More recently, he’s helmed episodes of medical drama Saving Hope and forthcoming horror Van Helsing – and he says the new opportunities that emerging streaming services provide mean it’s an exciting time to be working in television. “There’s been a lot of qualitative improvements in television, certainly since I started my career in the 1980s, like the way we shoot television now,” he notes. “When I started, we shot on film. Film is dead. The way we light television now is different. We use LED lights as opposed to the old acetylene lights.